For many providers, reaching an ‘outstanding’ rating with the Care Quality Commission (CQC) can seem like a difficult task. For others, it’s an ambition that is at the centre of their mission. Of course, achieving ‘outstanding’ is meant to be difficult. 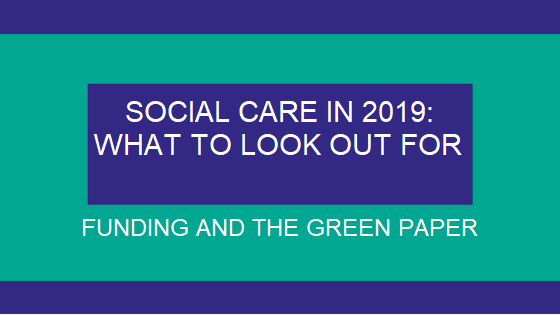 Only 2% of inspected social care services achieved the rating in 2018, a statistic that has remained largely static since 2014. More domiciliary care services rank outstanding compared to residential services, and similarly nearly five times as many residential settings are rating as ‘inadequate’ as domiciliary services. This speaks to the different challenges between the two types of service provision. Below are some tips that may help you if your ambition is to be outstanding. It may not surprise you that planning is key. As with anything, the key to a great CQC inspection is plenty of planning and preparation. There should be no surprises when the inspector calls: all the standards they measure you against are available for free online. Comprehensive inspection – A holistic inspection usually carried out where there is a risk of a deterioration in quality or an upturn in quality that may affect your rating. Focused inspection – More structured, narrow inspections carried out in response to a complaint or to follow up on specific findings from a previous inspection. These are usually unannounced. Combined inspection – Where the organisation provides services that span different areas of health and social care, for example, “mental health, community health, and care homes”. Different inspections are carried out by specialists for each service area. If you know what type of inspection you are likely to receive, you will be able to plan more effectively. Focused inspections are the simplest to plan for, since you will likely already be aware of the issue to which they are responding. Comprehensive inspections require much more planning and work. All inspections will emphasise your equality and diversity credentials – such as providing reasonable adjustments – and your compliance with the Mental Capacity Act and Deprivation of Liberties Safeguards. The CQC document ‘How we regulate health and social care’ should be your first port of call when planning for an inspection. The document summarises how the CQC inspects. It also includes the appeals and complaints procedures should the inspection not go the way you hoped. The document signposts you to other documents that will be of help. Are service users safe from abuse and harm? Is the care delivered effective? Does it lead to good outcomes? Are staff caring and compassionate towards those in their care? Are services responsive to the needs of service users? Is the organisation well-led? Are there effective governance arrangements in place? Beneath these areas of focus are a series of questions that the inspector will ask. They will, of course, need evidence to support any answers you provide. The CQC KLOEs documentation also gives an explanation as to what providers must do to get an outstanding rating for each question. It is important to compare your service against these criteria. This will give you an indication as to where you are likely to fall in your inspection. The KLOEs underwent some changes in November 2017. Advantage have a guide to the updates available to download for free. As since the CQC is a public regulator, all its reports are available online. Reading the reports of ‘outstanding’ services will give you a good indication of what inspectors are looking for when they visit. Conversely, reading reports of ‘good’ services will give you an idea of the gap between these ratings and ‘outstanding’ and what you need to correct. All inspection reports can be found on the CQC website alongside the details of the different providers. You will notice in some reports that there are specific mentions of instances where the inspector believes the organisation is exceptional or innovative. If you have developed a particular procedure or use a piece of technology that you believe will differentiate yourself from other providers, make sure you highlight it on your inspection. Not many know that, of the five key questions asked by the CQC, only two need to be outstanding for you to get an overall outstanding rating. Although you need to need to deliver as best as you possibly can in all five areas, you will likely already be relatively strong in at least two areas compared to others. If that is the case, you should build on your strengths. You should understand why you are so strong in these areas and focus on them. It is easier to concentrate your efforts and to make a real impact with staff on a limited number of areas, rather than spread your resources too thinly. If you are consistently updating this file – best categorised as per the KLOEs – then will be fully prepared when an inspection occurs. This file is not just about ticking boxes, though. You should record examples of where you feel your organisation has developed practices or delivered care that are innovative or particularly exceptional. You should also record examples of good team work, where your staff have gone above and beyond, or great feedback from service users and/or their families. 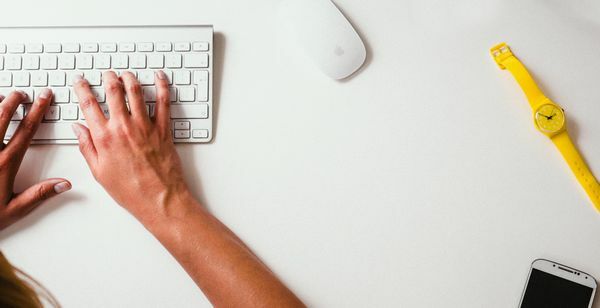 If you have had any requests for information from the CQC, such as online provider information collection (PIC) or provider information return (PIR) requests, keep records of what the request was and your response. The best evidence that you are delivering excellent care is feedback from the people in your care and their families. Of course, you can obtain this through individual requests, and it may be a good idea for you as a manager to get out and talk to the people in your care or their families. 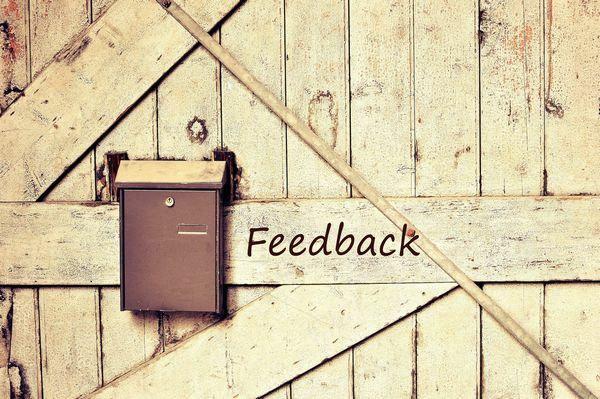 It is best, if you can, to collect feedback consistently over a long period of time. This will help give you a more accurate picture of how your organisation is functioning and take account of changes in staff and service users. For those seeking to use digital surveys, there are a range of online providers. SurveyMonkey is one of the most popular and has a free option. CQC inspectors will not just interview you. They will also interview your staff to ensure they are aware of your organisation’s policies and procedures and of their responsibilities as carers. Carrying out mock inspections will get them used to questioning and help you identify where there are gaps in staff knowledge. It will build confidence, meaning that you and your staff will be able to talk about how great your services are with more authenticity. You should not, though, prepare a ‘script’ for your staff. CQC inspectors will be able to see through it. It will also have long-term negative consequences, creating a culture of mistrust in your organisation. If your organisation is well-led and has a mission to deliver excellent care, you should largely be able to trust your staff to show off how good you are. Again, staff surveys will help you an insight into carers’ awareness of their responsibilities and how they feel about your organisation. A people-oriented organisation will regularly solicit staff feedback to help improve its services. You can carry out the inspections yourself, have a senior member of staff do it, or procure outside help. There are now a number of organisations that can carry out mock audits and inspections. Get in touch with us to find out who we recommend. Staff training is one of the easiest things to fall short on. All your care staff should be up to date on their mandatory training, including health and safety training, fire training, and all the mandatory care subjects. You must ensure that records are kept of all the training, including copies of the certificates. Innovative care organisations will look beyond the bare minimum, of course. Outstanding providers will have development plans for members of staff. This will not just help the CQC inspection but also improve staff retention and morale. They will also be able to demonstrate an ongoing system of staff training that highlights when a training need is likely to emerge. Advantage centres use our accreditation portal to help keep track of training needs and records. Getting your training or training systems accredited demonstrates a commitment to quality, consistent training. Click here to find out how Advantage Accreditation may be able to help you with this. You should also be aware that, in some cases, the CQC will not be able to give a rating. This is only likely if it is a brand new organisation, if there has been a significant change in operations or ownership, or if there isn’t enough evidence. If you are a truly outstanding organisation, then you won’t need any tricks or shine. Hopefully this guide will help you put a plan in place to ensure that your greatness really shines through! If you need any more advice, get in touch with the Advantage Accreditation team. 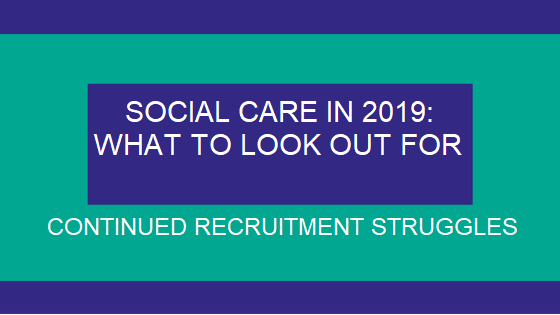 Recruitment has always been an issue for the care sector and it is likely to endure. The sector forecasts a shortage of 350,000 workers by 2028 assuming no significant changes are made. In reality, slow but steady technology improvements, provided the funding emerges, will chip away at this number. In the short-medium term, though, it will continue to be a problem. It isn’t hard to detect the sources of the problem. Social care is mostly hard, unglamorous work for relatively poor pay, similar to other sectors such as hospitality. One think tank estimated that as many as half of the social care workforce may be being paid below the real living wage. In an era where young people are constantly comparing and contrasting each other’s lives using social media, spending your days caring for older people is unattractive. Even the potential for quick promotion due to the talent shortage is not enough to counter-balance this fact. With funding pressures unlikely to be quickly alleviated, wages in the sector are unlikely to increase. The only structural factors that may have a positive effect on recruitment in the sector, ironically, would be an economic recession, releasing excess labour into the market. Unless there is significant economic pain following Brexit, this also seems remote. The job market, despite the problems in retail, has performed well in recent years. Brexit, depending on what deal is reached, may also reduce the ability of providers to source carers from EU states. Larger care providers, of course, have the resources and freedom to be able to innovate with their recruitment. One provider is planning make more use of social media and capitalising on the real experiences of carers to spread its message. Skills for Care has been discussing the possibility of creating a clearer career pathway for carers, although this feels unlikely to seriously shift perceptions. For smaller providers, it looks like the challenge is going to remain. 2018, as well as an increased emphasis on mental health across all ages, saw numerous campaigns on loneliness among Britain’s older population (and to a lesser extent, in its young people too). Many of those older people who are lonely, of course, are not the types to be on social media campaigning themselves. Change has to come from specialist groups and volunteers. Loneliness is a real problem. 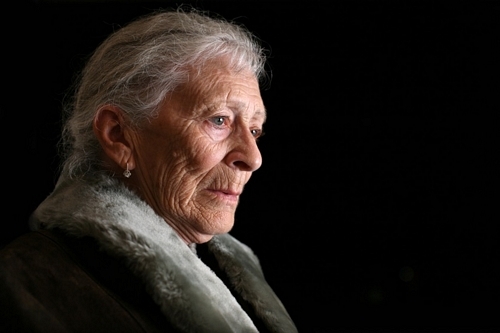 Age UK estimates an incredible 3.6 million older adults live alone, 2 million of which are over 75. They claim that this loneliness can be as damaging to their health as smoking 15 cigarettes a day and more harmful than obesity. The implication is a simple one: if we can put so much resources and attention on reducing smoking and obesity, why can we not do the same to combat loneliness? It does not take a big leap to see how this impacts on social care. 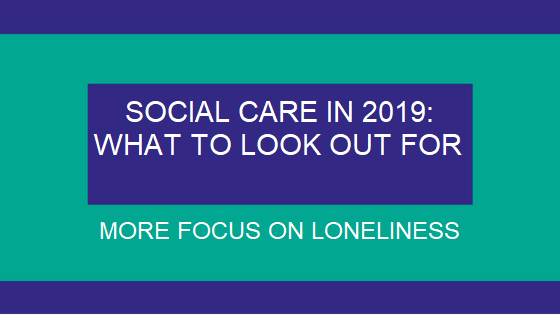 Lonelier adults are more likely to have poor health outcomes and to see their physical and mental condition decline, pushing them into social care. Creating a more social environment for these people would therefore have a big preventative effect, potentially reducing the burden on the health and social care system. What can the sector and the government do about this? At the moment, the social care sector has no incentive to tackle loneliness. Its funding is based on those it helps, not on those it keeps out. The government is likely to support volunteer projects led by groups such as Age UK with grant funding and possibly facility access. Either way, expect more pressure from the third sector on the issue. Advantage Accreditation is delighted to announce its support for the Restraint Reduction Network. 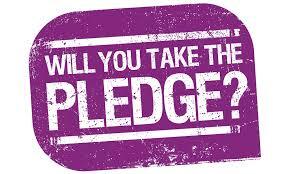 We have taken the “pledge” to help advance best practices and improve outcomes for those subject to restraint in health and social care environments. “… reduce reliance on restrictive practices and make a real difference in the lives of people who use across education, health and social care services​. them support young people more likely to face mental health issues – such as Lesbian, Gay, Bisexual, Transgender (LGBT+) individuals or children in care”. The plan recognises that “preventative support” is important to help address problems before they have serious repercussions. The plan also says that ambulance staff will receive training to help deal with people with mental health issues who are “in a crisis”. Some trusts are already doing this, but growing awareness of the scale of mental health problems in the UK and the impact it has on 999 calls means that all ambulance staff will soon be able to help with issues. One of the aims of the plan is to “personalise” and “improve” end of life care. This, it says, will mainly be accomplished by training to help staff identify patients’ needs as they head into the final stages of their life. The plan hopes that this will reduce emergency admissions, but the majority of people will see this as a necessary part of a caring modern society. There is little new about a wish to improve end of life training. Former guidance has included breaking down training into “bite-sized” sessions to build knowledge quickly, as well as role modelling good practice at every opportunity. It will be interesting to see how this new commitment bears out in practice, and whether it will mean mandatory, classroom-based courses for practitioners. The plan states an intent to roll out training in awareness of learning disabilities and/or autism to NHS teams. The plan alludes to a consultation published in 2018, which says that the aim of the training is ultimately to help staff “support people with a learning disability, their families and carers; to ensure that perceptions of learning disability do not prevent a robust assessment of physical health, and that staff can make personalised, reasonable adjustments to care”. The skills and competencies required for this awareness have already been outlined in the Learning Disabilities Core Skills Education and Training Framework. 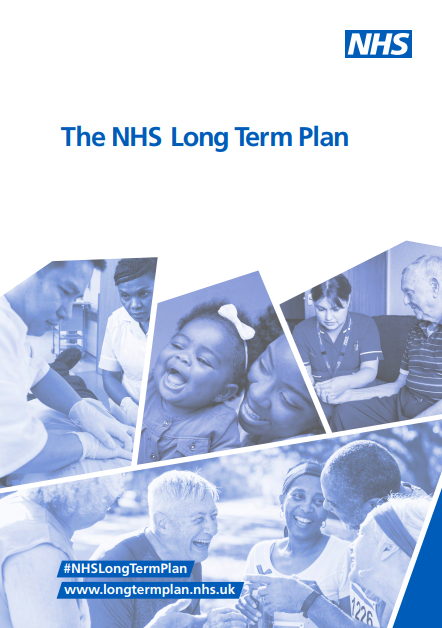 If this roll-out follow the recommendations included in the consultation, it means that a further consultation on proposals will begin in March this year, as well as an audit on skills in the NHS workforce. The CQC will monitor the uptake of the training from its full introduction. The long-term plan mentions that a programme has already been launched to train staff in how to handle violence. This may include positive behaviour support, de-escalation training, and breakaway techniques. Its inclusion in the plan emphasises that this is a growing problem and such training is here to stay. Click here to see what courses Advantage Accreditation can support you to deliver. Advantage accredits your internal training, trainers and training system. But what does that actually mean in practice? What process do we go through? 1. Your courses or ours? Advantage’s accreditation takes two forms: we can either accredit your courses, or accredit your trainers to deliver our Advantage Awards. Our Awards are suitable if you do not have your own courses to deliver, if you wish to replace your current courses, or if you want to supplement your own portfolio. They are developed by our curriculum team, which consists of our in-house curriculum team but also our external, expert curriculum specialists. If you choose to deliver our Awards, we will need to check your internal trainers’ experience and qualifications to ensure they are fit to do so (see below for more on internal trainers). The mapping process is carried out by our internal curriculum team or, if it is a particularly high-level or specialist course, one of our Curriculum Specialists. Of course, many organisations providing their own training do so because they want to include their own practices and policies in their courses. We can help with that too, advising on the most effective way to do so. If you are an organisation looking to provide training to your own staff, then you will need to tell us who is going to deliver that training. Of course, if you are a training provider, then you will probably already have a bank of trainers. Whether it is an experienced trainer or just an in-house subject expert, then the process is the same: we look at the individual’s work experience, qualifications and skills to ensure they are appropriate to deliver the course. Our Train the Trainer courses can help familiarise trainers with new course content, help inexperienced trainers learn how to pass their expert knowledge onto others, or just make sure their training skills are as good as they can be. An often overlooked piece of the jigsaw is the policies and processes that underlie your training: your training records, how you decide who to train and when, and how you keep your courses up to date. We will provide an outside overview on your training systems to make they’re optimised. Centres also get access to our online client portal. This can serve as a digital repository for all of your records of who attended a course, when, and how they performed. It can also help you schedule your courses. Once we’ve looked at your courses, training qualifications and experience and your processes, and if you meet our standards, then we can accredit you. If you fall short in some areas, we can help you put it right. How to start along the journey? Get in touch with us for a no-commitment chat. We won’t pressure you, just talk about your requirements and how we might be able to help. Why get your first aid training accredited? Ever since the HSE deregulated (in a manner of speaking) the first aid training market, the number of providers has increased and differentiation has become more difficult. 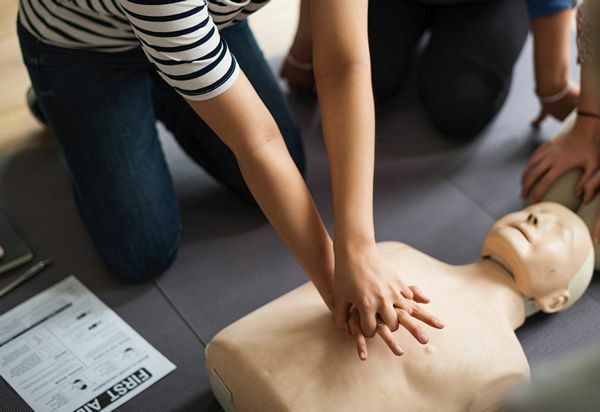 Awarding bodies and accreditation bodies often pitch themselves to first aid training providers as being to help them overcome the competition. But what’s really the case for accreditation? 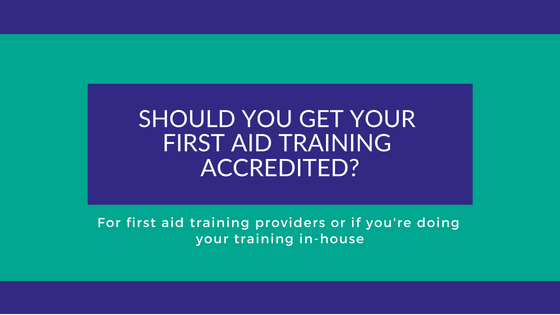 You may find the below useful if you’re a training provider wondering whether to get your first aid courses accredited, or if you’re a consumer looking to see if it’s worth paying the additional cost. In the past, the Health and Safety Executive (HSE) approved first aid training providers. Although the title of the course changed over the years (from Appointed Persons First Aid to First Aid at Work, for example), the importance of the HSE’s stamp of approval was a constant and ensured a quality standard in the market. After 1 October 2013, however, the HSE ceased approving first aid training providers. The argument from the HSE and the government at the time was to allow organisations more flexibility, but it was also part of a wider shift in regulatory practice of moving the onus on to the organisation itself. It is now the responsibility of organisations to ensure that the training they have received is sufficient and proportionate according to their own risk assessment. Technically, there is nothing that forces organisations to adopt this guidance. The issue only emerges when there is an inspection by either local enforcement agencies or the HSE itself and the organisation must demonstrate that the training is appropriate. However, the number of proactive visits carried out by such bodies has plunged by nearly 70% since 2010, meaning most inspections only occur after an accident or complaint. There are a good number of organisations who are happy to play the percentages. So, in that context, why should first aid training providers seek to deliver a regulated qualification or seek accreditation? Deregulation meant that the number of smaller training providers increased. Plimsoll has consistently said that the market is either stagnant or growing by very small amounts, but this is only half the story. Plimsoll only looks at the sales revenue of registered companies. The reason that the sales of those companies is falling or flat, however, is because of the large number of sole traders and unregistered providers who have begun to offer their services. This may explain why, in the detail of their report, you will see that the very small – insurgents with little overhead – and very big providers – with recognised brands and marketing power – are growing, whilst the middle-ranking providers are being squeezed. In other words, first aid training has effectively become commoditised, meaning differentiation has become more and more important. Demonstrating that your courses are of a high standard that you are a reputable provider could be the difference between sales growth or slow decline. Although some organisations will seek shortcuts, many will want to ensure that their staff are trained to suitable standards. A small business owner reading the HSE’s criteria may therefore panic about checking that their chosen providers meets all of the best practice checklist. An accreditation scheme helps make their life easier. If your training is accredited, it gives comfort to prospective clients and makes choosing you as their provider just that little bit easier. Unfortunately, incidents do occur and the HSE or other bodies do have to investigate. In those scenarios, the business will need to demonstrate that it chose its first aid training provider in good faith, and the provider will need to show that its product is fit for purpose. The easiest way to do this is to meet the HSE’s own criteria, which recognises that some providers “operate under voluntary accreditation schemes (including trade/industry bodies)”. Accreditation of your first aid training will help with all the HSE’s criteria, but there are two elements of their checklist that it can particularly help with. Is there a quality assurance system in place to monitor the quality of training? Many organisations will be too small and too busy to spend vast amounts of time preparing quality policies and carrying out quality visits. An accreditation scheme will either provide that system for you, or help you to put yours in place. Is first aid taught in accordance with currently accepted first-aid practice? Staying up to date with the guidance issued by bodies such as the HSE and Resuscitation Council UK can be difficult, particularly if you’re working in a market this competitive. Accreditation schemes such as Advantage typically offer some form of curriculum update service where they update you on the latest changes in best practice or regulation. The HSE criteria has a specific section for organisations carrying out in-house training, although in reality the requirements are similar to those expected of external providers. The challenge is record-keeping. 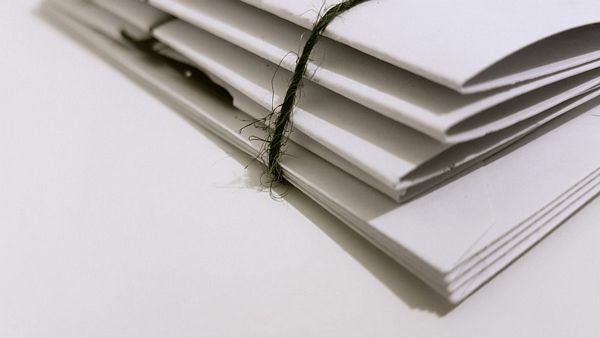 Accreditation schemes may help you with keeping those records. Advantage, for example, offers an online accreditation portal to manage training and qualification records. We also help centres to put internal record systems in place, including checking their in-house trainers’ qualifications. Getting your training accredited does not make you a great first aid training provider, nor does it prevent you from serious reputation damage if it is found that you cannot back up what you say. It may, however, help steer you in the right direction and show that you take training standards seriously an increasingly difficult marketplace. Regardless of your sector, there are many different accreditation schemes available. Some people automatically reach for accreditation services, whereas others seek to go it alone. But what are the actual benefits of getting yourself accredited? Every sector has regulators, although some are more involved and prescriptive than others. As much as you want to work with those regulators, you want to give them as much confidence as possible in what you do so that you can get on with delivering your products and services. In the health and social care sector, that means giving the Care Quality Commission (CQC) confidence in your ability to provide adequate care and to train your staff with the skills they need. Social media and review websites have made the public more mistrustful and cynical about the claims made by organisations. Accreditation protects against this by showing that, unlike others, you take your obligations to them seriously. For supermarkets, using accreditations such as the Red Tractor on their products shows that they take their advertised commitments to British farmers and British produce seriously. For training organisations, getting your courses accredited is testament to the fact that you place great stock in accuracy and training quality. Employees, particularly Millennials and those of Generation Z, are becoming much more discriminating when choosing for whom they work. Talented employees now want employers who have a core purpose, have ethical practices, and offer good working conditions. Gaining accreditation proves to them that you are out to swindle anyone but provide a substantial service or product. There are accreditation schemes specifically designed to prove to prospective employees that you care for the people who work for you, such as Investors in People. Many accreditation or awarding bodies also offer support and guidance. The Federation of Master Builders offers members a suite of legal forms and a free helpline. Others may offer knowledge updates or seminars. Above all, accreditation is about reassurance for yourself and for others. Are you a care organisation or a training provider? Find out about the benefits of getting your training accredited. The Care Certificate was launched in April 2015. At the time and since, it has been subject to many myths and misconceptions. What is the Care Certificate? What do your staff need to do to be able to complete it? The Care Certificate is a set of 15 standards that care workers should follow in order to do their job successfully and provide a good level of care. It was developed together by Health Education England, Skills for Care and Skills for Health and based on the requirements of the Cavendish Review. It replaced the Common Induction Standards and National Minimum Training Standards, its direct precursors. The Care Certificate is fairly similar to the Common Induction Standards in a number of ways, but included new standards that recognised the modern challenges in the health and social care sector, such as mental health issues and dementia (Standard 9), safeguarding (Standards 10 and 11) and information privacy and governance (Standard 14). Who need to do the Care Certificate? Any new health and social care workers from April 2015 were required to ‘do’ the Care Certificate. If you use agency, bank or temporary staff, it is up to you to determine whether they have training suitable to perform their role. If you have hired someone who claims they have undertaken training in the standards with a previous employer, then you should still take steps to verify their claims and assess their competence in the workplace. Technically, the Care Certificate is not mandatory. Although it was widely expected pre-April 2015 that this would be the case, Skills for Care confirmed in 2015 that the Care Certificate had no statutory power behind it. In their own words, however, “the Care Quality Commission will expect that appropriate staff who are new to services which they regulate will achieve the competences required by the Care Certificate as part of their induction”. The provider is actively assessing against the competencies in the Care Certificate. The CQC use the Care Certificate as a baseline because that is precisely what it was intended to be, to apply to both regulated and non-regulated workforces. Assessing against the Care Certificate help ensure a minimum standard of care for everyone. Another myth perpetuated at the time of launch was that Certificate had to be completed within 12 weeks of induction. This belief actually originated from Skills for Care’s own pilot project that showed that 12 weeks was the approximate time it would take someone to demonstrate the competencies and knowledge. Again, technically, there is no time-limit. All the CQC need to see is that it forms part of the “induction process”. What do staff need to do to complete the Care Certificate? 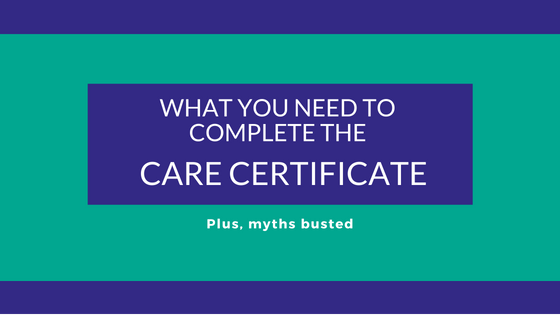 ‘Completing’ the Care Certificate is not as easy as sending staff on a training course. That is because it requires a joint-effort on behalf of both the care worker and the employer. Care workers must demonstrate knowledge and understanding of the Care Certificate, but the employer must assess this is their everyday work. Many providers use a combination of methods to help new staff understand the Care Certificate. Classroom-based training, distance learning or e-learning can help with many of the more theory-based standards, although distance learning or e-learning alone is likely to be insufficient for Standard 12: Basic Life Support. The assessor should then look for examples in their everyday work that they are actively applying the standards, or, if such situations do not present themselves, create scenarios to help them demonstrate their knowledge and skills. What resources are there to help? Skills for Care and Skills for Health have produced a number of free resources, including guidance on all standard, a self-assessment tool, and free e-learning. Advantage have also developed a distance learning package designed to meet the needs of both staff and employers, including assessment sheets and easy-to-follow knowledge guides. Get in touch to find out more. 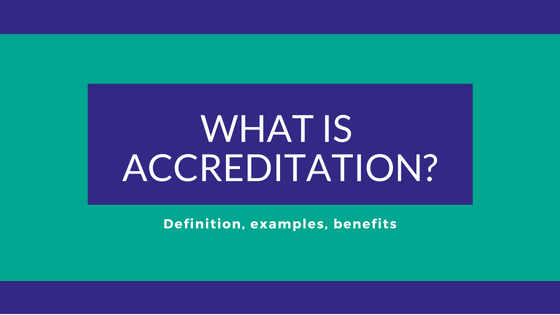 We hear and read a lot about accreditation (especially us), but what does it actually mean, both in theory and in practice? We attempt to summarise. Accreditation is the external recognition of your adherence to a set of standards to perform an activity or hold a certain status. Typically, accreditation is held by education institutions or organisations. However, schemes exist in a variety of industries. It can show that an organisation subscribes to certain quality standards or adheres to a voluntary self-regulatory code. Well-known accreditation schemes include the Red Tractor Scheme, the National Landlords Association, CHAS, and Law Society Accreditation. Sometimes, such schemes may not be called as such, or may be a part of a larger scheme. 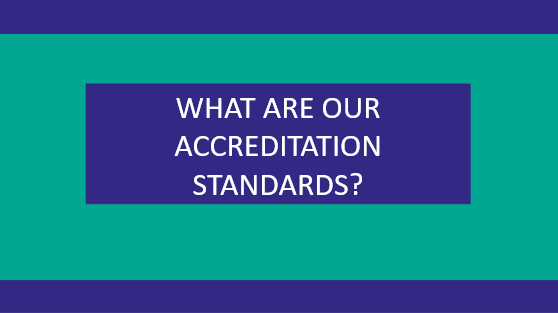 For example, the Federation of Master Builders is effectively an accreditation scheme, even though it calls itself a ‘trade association’. 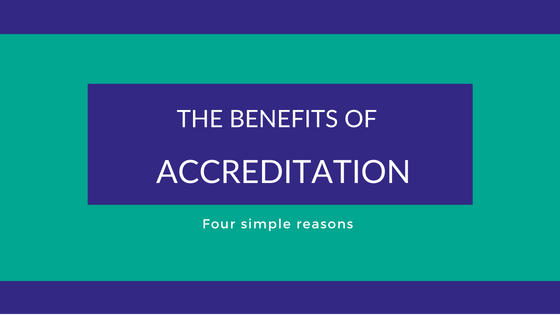 There are numerous benefits to accreditation, depending on the scheme. In general, it shows that the organisation takes their responsibilities seriously. This gives confidence to external regulators and customers. It can lead to more business or more engagement, and can give customers or service users confidence in your standards and your ability to comply with regulations and laws. It can give an organisations confidence in itself, too. Many schemes give you advice on best practice or advice on common problems. The National Landlords Association, for example, offers commonly used forms that members can use and offers advice on common disputes between landlords and tenants. CHAS provides model procedures and documents that members can use to help become health and safety compliant. At Advantage, we offer curriculum updates so that centres can be sure they’re using up to date and compliant course materials. Who decides what accreditation is valid or not? The United Kingdom Accreditation Service (UKAS) is the body recognised by the Government to assess against “internationally agreed standards”. In their own words, UKAS “check the checkers”. UKAS aren’t the only body with a role in the accreditation ‘market’, however. Sector skills bodies such as Skills for Care and Energy and Utility Skills have an input, even if indirectly, into accreditation and quality standards and sometimes have their own accreditation or assurance schemes. Voluntary industry bodies or professional associations such as the Association of British Travel Agents (ABTA) and the British Insurance Brokers Association (BIBA) also have a big role to play. The Federation of Awarding Bodies in one such organisation. How do I find the right accreditation scheme? Is this scheme right for my sector or niche? ISO standards are often the go-to certifications, but they may not actually say anything about your technical competence. Do they have evidence of their expertise? What are their quality processes? Do they have in-house experts that provide advice to their staff and to you and make sure that the body is up to date with the latest knowledge and best practice? Can they help you with technical queries? Do their values match yours? Do they actually do anything for their money? Some bodies want your membership fee, but then do not offer any real help. Do they conduct audits? It may not seem to be in your interest to welcome audits, but a body that audits their members takes their standards and responsibilities seriously. And of course, make sure they’re responsive to your needs. The Alzheimer’s Society has produced a spotlight on ongoing research into vascular dementia, the second most common form of dementia. The spotlight highlights a number of ongoing projects working to understand how to prevent the disease taking hold. One such project, led by the University of Oxford, is testing to see whether surgical procedures undertaken to prevent the risk of a stroke has had a noticeable impact on the cases of vascular dementia in the test group. Other research is delving deeper into causes of vascular dementia. One particularly interesting piece of work by Professor Roxana Carare of Southampton University is investigating as to whether conditions that drain fluid from the brain make vascular dementia more likely. You can read up on all of these projects by clicking here.